The tado° Smart AC Control can be attached with adhesive strips to the wall. The cable then leads out at the bottom of the device. Features • More Control: Whatever the time of day, tado° lets you know your home temperature, when the AC is on, how much you’re saving and allows you to control your AC from wherever you are. 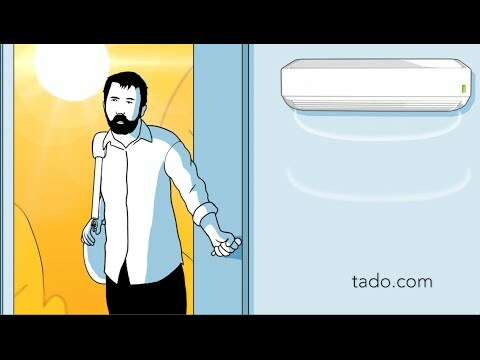 • Geolocation Control: tado° regulates the air conditioning using the residents’ locations: Saves when nobody is at home and cools or heats when it detects the first person returning. • Save on Energy Costs: Reduce your power consumption by up to 40% through intelligent control of your air conditioning.